Whoever has read or watched Paddington Bear must have fallen in love with this well-mannered and adorable bear. Here is an easy and cheap way to recreate this courteous personage. Cover the matchbox with brown paper. 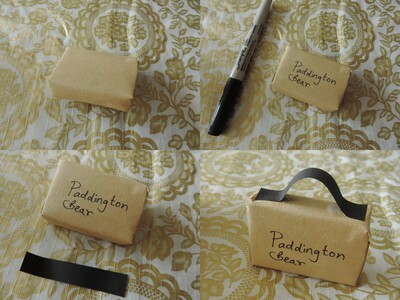 Write down 'Paddington Bear'. To make the handle, cut a small piece of black paper and glue as shown in the picture. 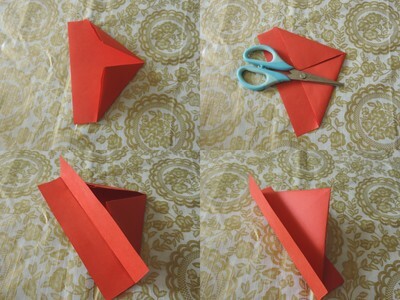 Make a paper boat using half a red A4 paper. 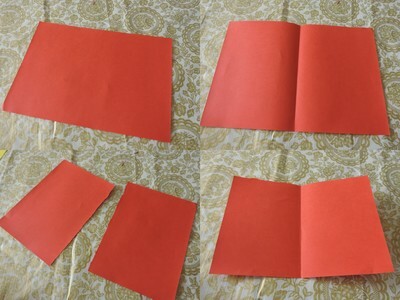 Follow the steps as shown in the photos. 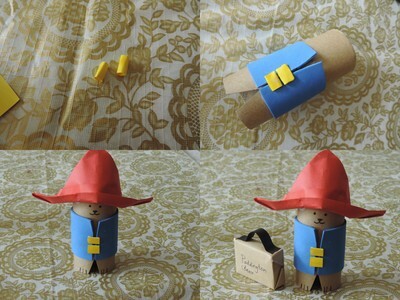 Cut a small triangle to make the feet of Paddington. 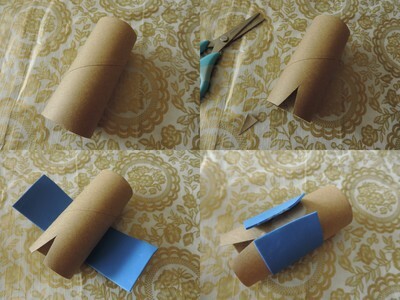 Cut the blue foam sheet and glue around the toilet roll. Cut two small yellow pieces and glue to the centre. Draw the eyes, nose, mouth and feet. 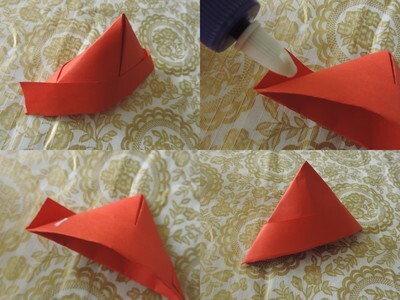 Glue the hat, making creases to fit. Leave to dry and there you have your cute bear friend.